If you come to Italy there are some things you just have to do, foods to try, and places to see. There are 50 UNESCO protected sites here, that’s more than any other country in the world. So where do you start? Don’t worry we are here to help you with a simple guide to make your visit a truly unforgettable one. The country really has something for everyone, whether it’s art, history, fashion, football, architecture, food, wine, beaches, ski resorts or simply the chance to try out some gelatos in the summer sun. You are guaranteed to fall in love with the country which has captured traveller’s hearts for centuries. Once the capital of the world (caput mundi), now just capital of Italy, this city is a brilliant fusion of the past and present. With so much to see it’s hard to say what is the most outstanding: the opulence of the Vatican, the striking simplicity of the Pantheon, or simply strolling along the river Tiber. Whether you want to imagine life in Roman times, or enjoy the buzzing energy of Bohemian parts, this city is unmissable. Highlights: Roman Colosseum, Pantheon, Jewish Ghetto, Circus Maximus, Piazza Venezia, Roman Forum, Trevi Fountain. “Selfie” moment: Posing with the gladiators outside the Colosseum! One thing you must taste: Bucatini cacio e pepe- chunky, hollow spaghetti with pepper and melted cheese. Delicious. Top tip: Rome is full of fountains. Most of the water is drinkable, free and refreshing in the heat. Remember the aqueducts have been bringing water into the city since Roman times. Venice is simply magical. A trip is well worth it to see the wonder of the canals, the Gothic architecture and of course have a ride on a gondola. The city comes alive for its Carnival. 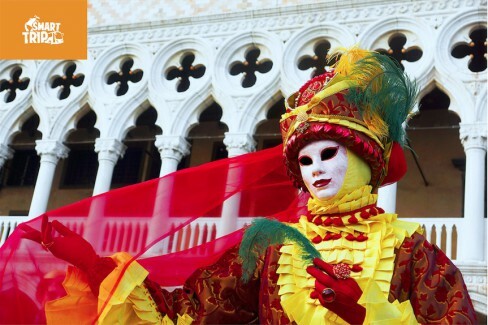 It’s a great chance to celebrate in this tradition, with the music, games and a chance to dress up in masks. “Selfie” moment: Gelato-in-hand, sunglasses-on, as you’re punted around the canals. Pure class. One thing you must do: Come during Carnival 31st January- 17th February 2015. It is a sight to behold. One thing you must taste: Fegato alla veneziana. Livers might not be top of your list of things to eat, but try this. It’s like nothing else. Top tip: Gondola rides vary in price but expect to pay around €80 for 40 minutes. Avoid taking the rides from St Mark’s Square which are likely to be higher. Going later in the evening is quieter too. It’s easy to see how Amalfi earned its name as the “Pearl of Italy”. Combine, sun, sea and boat trips with a picture-perfect backdrop, and you have yourself a great destination for a weekend trip. With so much to see nearby, you’re spoilt for things to do. 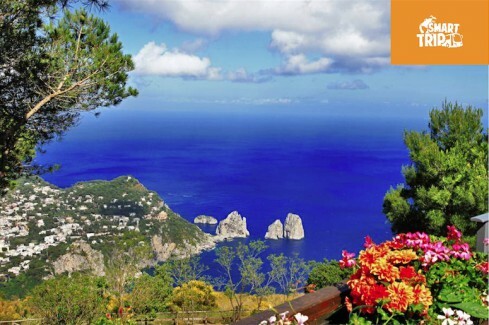 Only in the 1850’s was a road built linking the stunning towns of Ravello, Sorrento, Positano and Amalfi. It was holiday destination for some of Hollywood’s greats Sofia Loren, Greta Garbo and Humphrey Bogart. Good enough for them? Good enough for us! One thing you must do: Take a private boat tour to appreciate the glamour and beauty of the coastal towns. One thing you must taste: Limoncello. The local lemon liquor might smell like a nice bathroom cleaner, but it’s much tastier. “Selfie” moment: On the beach with a backdrop so beautiful, it looks like a film set. Top tip: Hiring a car, might help you arrive in Amalfi, but once here, it’s much better to use boats to explore the local area. 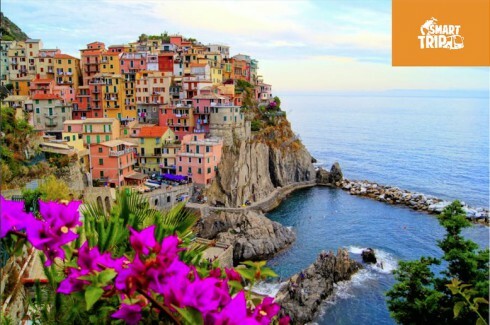 Five fishing towns set along some of the most stunning coastlines in the world, makes the Cinque Terre an unforgettable destination. It dates back to 643 AD. Little surprise then, cars aren’t allowed here. Follow the pathways along the coast to discover the breathtaking views, natural beauty and picturesque towns dotted along the way. It’s truly idyllic. If that wasn’t enough- there’s even a quaint train to help you on your way. One thing you must do: For the romantics- walk along the “Path of Love” (via dell’Amore.) When this road was built it was reputed to be the meeting point for the boys and girls from the two local villages to meet. Today it’s a wonderful place to watch the sunset. One thing you must taste: Pesto. You might think you know the green Pesto sauce, available in most supermarkets back home. But try the real thing, and you’ll see the 2 don’t compare. “Selfie” moment: Anyone of the stunning views, and the long drops to the crystal waters. Galileo Galilei is reputed to have proved some of his most important scientific theories here, and Superman famously tried to straighten it. No trip to Tuscany is complete without a visit to the Leaning Tower of Pisa. The belltower has been slightly off-centre for hundreds of years, but here there’s much more to see. While you’re in the area, why not use the chance to explore nearby Lucca? This beautiful walled city has an amphitheatre, Guinigi Tower and cathedral. You can hire bikes too if you’re feeling adventurous. Highlights: Porta Santa Maria, Miracle Square, Cathedral, Baptistery, Monumental Graveyard, and the chance to explore nearby Lucca. “Selfie” moment: Pretend to hold it up, jump over it, or hold it in your hand- join the many other visitors trying to out-do one another for the most creative photo with the Tower! One thing you must do: It’s taken some of the world’s most famous engineers to stabilise it, so a trip up the Tower is a must! One thing you must taste: Buccellato. Raisin bread like you’ve never tried it. Top tip: Pisa is also famed for its university. This means the centre is brimming full of exciting bars, and cafes in the centre. The city is compact so easily explored. How about dazzling your friends and family with your knowledge of certain vintages, by trying a wine-tasting tour. Yes there’s more to selecting a bottle of wine, than price and alcohol content! So where better than one of Italy’s largest wine-producing regions (and a short distance from Florence) Chianti. One of our trips might not qualify you as a sommelier, but you will be able to appreciate the qualities of the wines. One thing you must taste: Olive oil. The wine estates often make their own. Slice of bread, a dash of the “liquid gold” and a touch of salt, makes the perfect snack. 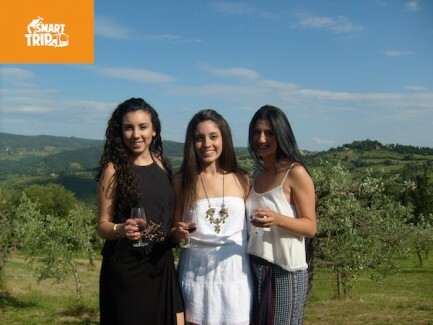 “Selfie” moment: With a back drop of rolling Tuscan hills, vineyards and idyllic villages, take your pick. It’s just dreamy. 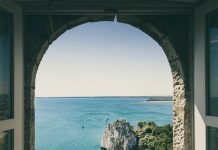 If you fancy finding out a little more about Italian history away from the crowds in the big cities, this is the trip for you. Cortona and Assisi are both medieval towns, but with very different identities. The journey there is as much a part of the day; passing through typical Tuscan countryside, and breath-taking views. It’s little wonder that Cortona was the location for the film “Under the Tuscan Sun”. 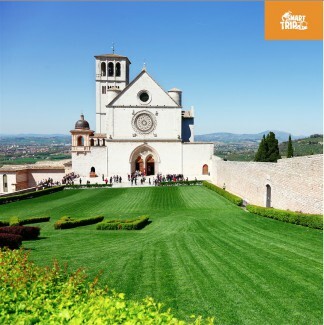 Assisi, is also a hilltop town, where you can get some spectacular views. Here you can follow in the footsteps of the well-known patron Saint of animals Saint Francis. Highlights: Santa Chiara and Santa Maria degli Angeli at Cortona, Giotto’s frescos at the Basillica at Assisi. One thing you must do: Watch the glorious sunsets over the Umbrian countryside, from the hilltop towns. One thing you must taste: Montepulciano and Montalcino. These are two of the most famous wines from the area, and being just a few kilometres away, you have a great opportunity to try them, and decide whether they are justifiably some of the best drops. “Selfie” moment: With a back drop of rolling Tuscan hills, vineyards and idyllic villages, take your pick. It’s just magical. Top tip: While in Cortona try to visit the small “cell” where Saint Francis was a hermit. It has been kept exactly as it was when he lived there in 1211. Over the centuries Siena and Florence have fought wars for power and supremacy. Even today there is still some competition. Siena is quieter, but equally beautiful, while Florence has more to see and do. Now you can make up your mind which you prefer. 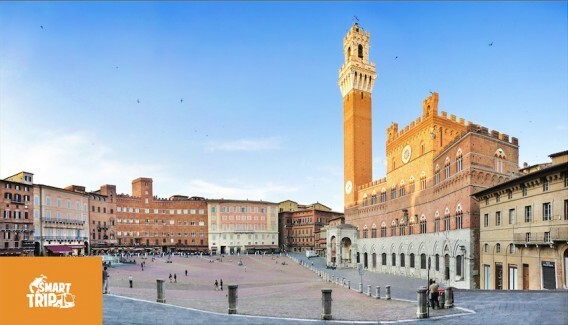 Siena is centred around its famous piazza, The Campo. One thing you must taste: Finocchiona. This fennel flavoured salami is fantastic on a slice of fresh bread with a glass of red wine. “Selfie” moment: Relaxing in the heart of the city at The Campo. Top tip: To get a true overview of the city climb the 500 steps of the Torre del Mangia. Lake Garda is so vast it seems never-ending. So why not take a boat ride to get a true sense of its scale as Italy’s largest lake? 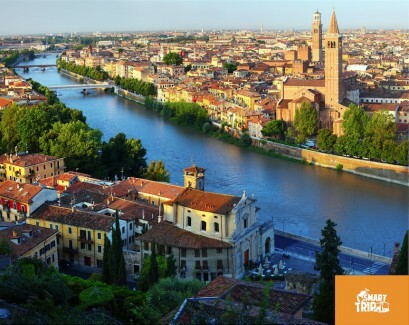 See some of the stunning fishing villages, and then, for some history there’s Verona nearby. 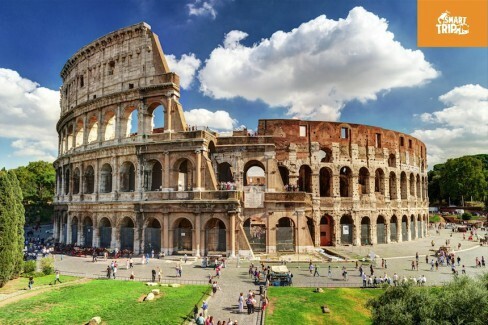 Its Roman amphitheatre is one of the world’s best preserved. It’s a great place to sit and imagine the spectacles which happened here. Highlights: The views of Lake Garda from Punta San Viglio, Verona’s town centre, Juliet’s Balcony, The Amphitheatre. One thing you must do: “Romeo oh Romeo, where for art thou Romeo”- try re – enacting one of Shakespeare’s most famous plays at the balcony where Romeo and Juliet was set. “Selfie” moment: How about taking centre-stage at the Roman amphitheatre?? One thing you must taste: Baci di Giulietta. These biscuits called “Juliet’s Kisses” can be found in most pastry shops. Top tip: Having troubles in love? Leave a letter to Juliet at the balcony in Verona, and it’s reported that “secretaries” might reply with some sound advice. Think of fast cars and you’re probably thinking of a Ferrari. It’s one of Italy’s most famous brands, and you can visit the place where the story all started, with the “genius” of Enzo Ferrari. The spanking-new museum is built on the spot where he was born, and you can even visit the original workshop, where construction started. 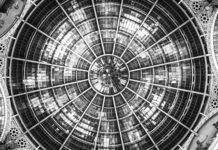 It is a mesmerising mixture of modern hi-tech and old artisan traditions. The Museum is in one of Italy’s most famous food-producing regions Emilia Romagna, so this trip includes a chance to try the most exquisite Parmesan Cheese and Balsamic Vinegar. This tour is a wonderful blend of technology and gastronomy. Highlights: visit to the Ferrari museum in Maranello, visit to Acetaia (balsamic vinegar producers) and then onto a cheese farm making the Parmesan, which no-italian-meal-is-complete-without. 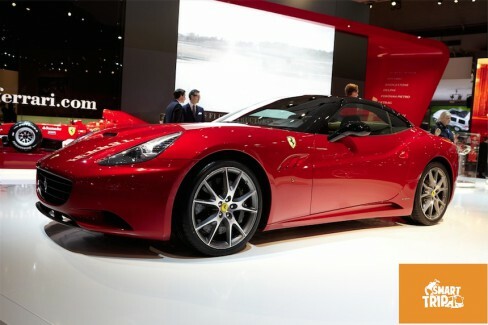 One thing you must do: Test-drive a Ferrari. The chance doesn’t come around that often. One thing you must taste: Balsamic Vinegar. It’s world-famous, and instantly spruces up any average salad. It also makes a great present. “Selfie” moment: Be the envy of everyone, behind the wheel of a Ferrari. Top tip: To really appreciate the incredible flavour of Parmesan Cheese, compare different aged cheeses, and see how with time the taste intensifies. Contact SmartTrip.it and organize your trip around Italy with them! The Florence-based team at SmartTrip has all the experience and local knowledge to offer alternative and enjoyable trips to students wanting to make the most of their time in Europe. Previous article#CrazyforPazzi – Crowfunding for the Santa Croce Church in Florence!